The second annual Journal of the North American Japanese Garden Association (NAJGA) features a story on Hilo’s Lili`uokalani Gardens in a section devoted to gardens celebrating a centennial. Ongoing efforts include monthly volunteer work days at Lili`uokalani Gardens. The next scheduled efforts are Friday, May 15, and Saturday, June 13. Each volunteer day is scheduled from 8 a.m. until noon. Volunteers are asked to bring their favorite tools, although some tools, gloves, and refreshments are available from the Friends group. Other Japanese gardens featured in the NAJGA Journal centennial series and the year of each garden’s centennial (in parenthesis) include The Huntington in San Marino, CA (2012); Maymont in Richmond, VA (2012); Brooklyn Botanic Garden, NY (2015); the Japanese Friendship Garden of San Diego, CA in Balboa Park (2015); and Hakone in Saratoga, CA (2015). The 70-page publication plus sturdy cover features abundant historic black-and-white and modern four-color photographs throughout. In addition to the Centennial Gardens section, six gardens are featured in a series on pond renovation and repair: The Missouri Botanical Garden’s Seiwa’en, Chicago Botanic Garden’s Sansho’en, Philadelphia’s Shofuso, Washington DC’s Hillwood Estate, Austin, TX Taniguchi Garden, and Rockford, IL Anderson Japanese Gardens. Two additional lengthy articles in the Journal investigate the landscape gardens at Manzanar, one of ten internment camps on the mainland United States during World War II. The gardens at Manzanar continue to be uncovered and restored during archaeological projects of the National Park Service. The Manzanar articles had to be edited for length in the printed edition of the Journal. The full article is available on the NAJGA web site. Copies of the NAJGA Journal are available for sale at the Hawaii Japanese Center at 751 Kanoelehua Avenue and Basically Books at 160 Kamehameha Avenue in Hilo, HI. For additional information on the North American Japanese Garden Association, contact president of the board of directors Kendall Brown at Kendall.Brown@csulb.edu or send a letter to NAJGA at P. O. Box 28438, Portland OR 97228. 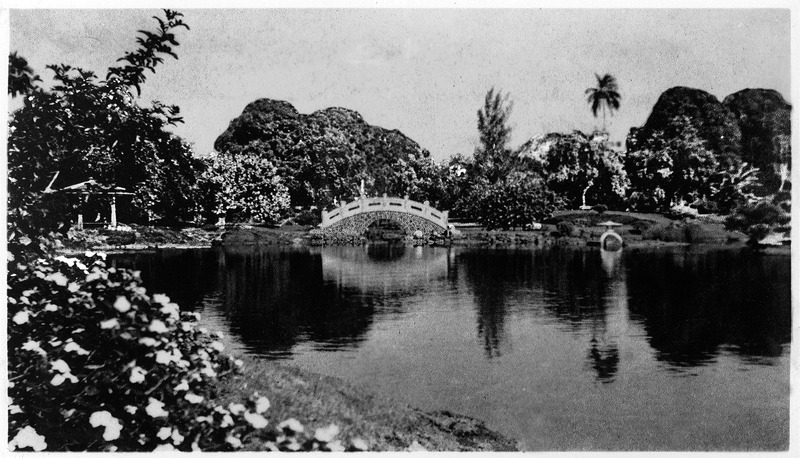 For additional information on Friends of Lili`uokalani Gardens and how you might help prepare for the centennial celebration in 2017, contact K.T. Cannon-Eger at (808) 895-8130 or email to kteger@hawaii.rr.com or write to Friends of Lili`uokalani Gardens, P. O. Box 5147, Hilo HI 96720.